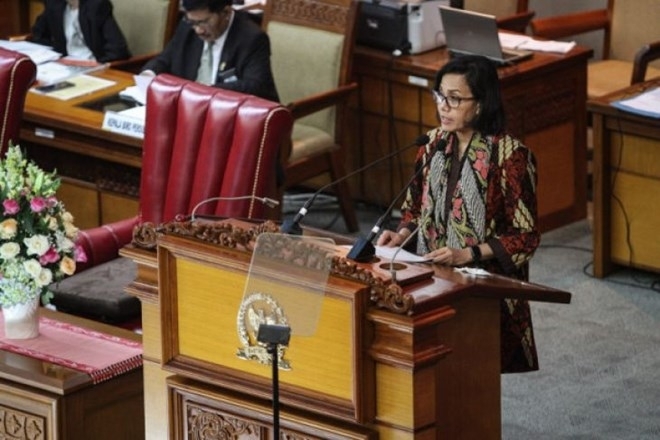 Indonesian Minister of Finance Sri Mulyani Indrawati said that the government has set an economic growth target of between 5.4-5.8 percent in 2019. According to the Antara News, the growth target is directed toward creation of equitable growth all over Indonesia, by accelerating development mainly in backward areas. Development of economic sectors with high value and labour productivity will be put at the first line of the solutions, she said, adding that the digital industry needs the support of good quality and productive, innovative and competitive human resources. In addition, the momentum of growing investment and exports have to be maintained by abolishing restrictive regulations in the center as well as in the regions and reform in taxation system and labour sector, she noted. “The government is designing various attractive and competitive fiscal incentive policies to motivate investment and exports”, she said. The country eyes to curb the inflation rate at 3.5 percent more or less 1 percentage point to keep the purchasing power at a healthy level to push up household consumption. The government will maintain balance between supply and demand. Increasing national production capacity is an effort to ensure sufficient goods, especially food. The rupiah value is expected to average 13,000-14,000 per dollar in 2019 amid challenge in maintaining stability in exchange rate. She said that rupiah exchange rate fall does not always mean negative to the domestic economy as a declining rupiah can boost export and economic growth.